There are “great prospects” for business cooperation between Israel and Taiwan in the high-tech field, a senior official of a Taiwanese trade organization said last week as he led a delegation of senior executives to the Startup Nation to pursue business opportunities. 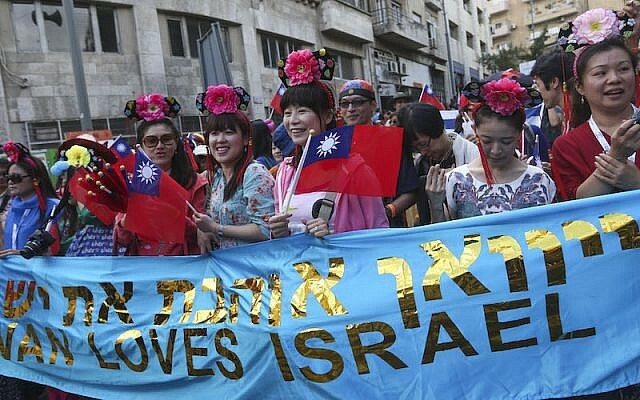 “Israel and Taiwan are a great match,” declared James Huang, the chairman of Taiwan External Trade Development Council, or TAITRA, a nonprofit trade promotion organization that operates within the Ministry of Economic Affairs in Taiwan. Huang spoke to The Times of Israel in Tel Aviv. “Culturally we are very different on the surface,” Huang said. “Taiwan is a Confucian society, with emphasis on respect of order, seniority. In Israel everyone challenges everyone,” he said with a laugh. And that is why, he said, the two countries “can complement each other perfectly” to introduce innovation in R&D and in paving the way for future technologies. In Taiwan, which today manufactures 80 percent of the world’s PCs and 25 percent of the world’s semiconductors, the Confucian discipline is applied to manufacturing. “We probably have the most efficient manufacturing industries in the world, second probably only to Germany,” Huang said. Traditionally, Israeli tech firms have looked at the US and Europe as natural markets for their products and for joint ventures. But relations with Asian nations are growing, with China, India and Japan looking to Israel for new technologies and Israeli firms viewing the huge Asian markets as a lucrative new avenue for sales and growth. Taiwan (Republic of China), originally known as Formosa, was created in 1949 when Chiang Kai-shek fled the mainland after Mao Zedong’s Communist Party took the reins of government in Beijing. For years, mainland China insisted that it was the “real China” and often required governments with which it had relations to cut off ties with Taiwan. While the People’s Republic still insists that it represents the one, unified China, it no longer insists on exclusivity in business relationships. The sensitive relations between the two nations continue to be an issue, however. Meanwhile, Taiwan has prospered, through a dynamic capitalist economy that, like Israel, is heavily dependent on exports. The country is home to some 25 million people, compared to the almost 9 million in Israel. It suffers from a low birth rate that raises the prospect of a future shortfall of workers, falling domestic demand and receding tax revenues. 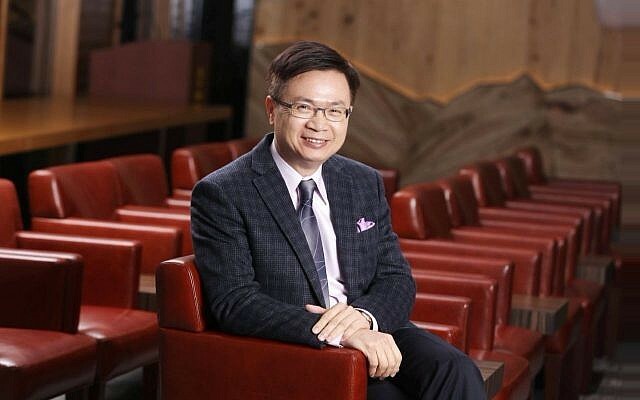 Huang was at the head of a 14-person delegation including prominent Taiwanese heads of VC funds and executives of high tech firms, looking to expand the strategic cooperation between Taiwanese and Israeli startups and to study opportunities to expand bring Israeli technologies to the Asian market. During his visit, Israel’s Export Institute and TAITRA signed a memorandum of understanding to help promote trade and delegations and inform businesses on both sides about investment and joint venture opportunities in the two countries. 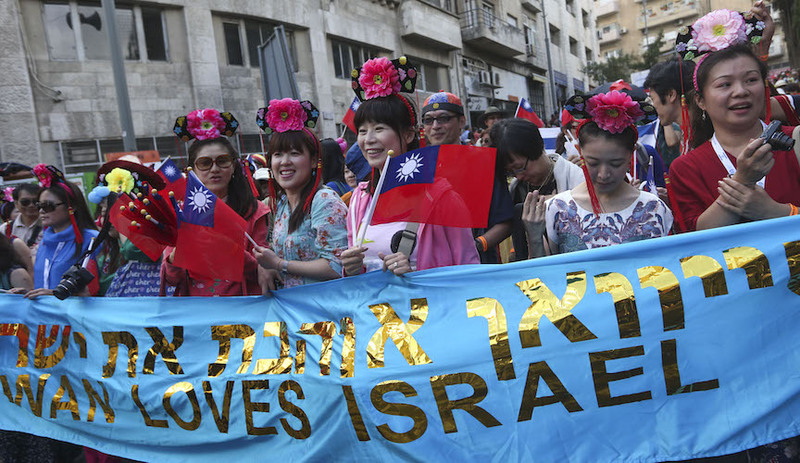 “Israel and Taiwan are already connected in a small way,” Huang said. He hopes the MOU will be a first step toward even closer cooperation, including between Israeli and Taiwanese VC funds, Huang said. During its time in Israel the delegation met with local firms and VC executives and held a seminar in Tel Aviv, attended by representatives from the Israeli startup industry, venture capital funds, the Israel Innovation Authority, the Israel Export Institute and the ICT Industry Association Israel. Trade between Israel and Taiwan is more or less balanced and recorded double digit growth last year. In 2017, Taiwan exported to Israel some $700 million worth of goods – up 14 percent from a year earlier, including machinery, optical precision tools, car parts and medicinal equipment. Taiwan imported some $1 billion worth of goods from Israel, including chemicals, medicines, diamonds and electronic and machinery parts, up 11 percent from a year earlier, according to TAITRA data. Huang was also in Israel to promote Computex, the largest ICT and startups trade show in Asia, which will take place on June 5 to 9.